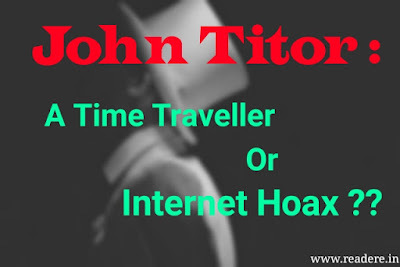 Home / Myths / Reviews / Social / John Titor : A time traveller or Internet Hoax ?? John Titor : A time traveller or Internet Hoax ?? Today's article is really interesting for everyone because this is about a person who claims that he's a time traveller. Are you shocked to read that? Huh? But before interpreting anything about this, you've to read the article to understand the whole matter. So let's begin. "Hello friends, I'm a Traveller, a Time traveller and I've come from the year 2036, aims to bring a IBM 5100 computer because our team need that in 2036, and while returning back to 2036, I stayed in the year 2000, because I want to see how is the past looks alike along with a computer problem named Y2K. " Also Read "Why you should visit Costa Rica?" This message took a sensation, however, most of the people assumed it as a fake profiler who wants publicity only. So they didn't take it seriously. But some of them replied to his post, " if you're a real time traveller, then prove it ". Thereafter everyone was shocked to see what he sent. He posted the design of the time machine in which he had come. He sent the real pictures of the machine. Nobody was getting what's happening. He claimed that he is an Army man in 2036 and his grandfather had worked in IBM. Now you must be thinking if he has come from the future then surely he'll be aware of future incidents. So did he tell us anything about future incidents?? 1. He claims that there will a destructive earthquake in Peru soon and after few months of his claims, on 23 June 2001, a destructive earthquake of the history had come in Peru. 2. He also warned us to correct the space shuttle overheating problem, otherwise, it might cause a huge accident in future. And on 21 February 2003, Colombia spacecraft had an accident due to shuttle overheating (this was the same spacecraft in which Kalpana Chawla was ). 3. He also claims that 2004 Olympic will be last Olympic but actually it was not as we've already seen that now. He had told many incidents, but if analyzing all, we get that out of his all claims, only 50% were true. There is a book written on John Titor, that is John Titor: A Time Traveller's Tale. You can buy this book from here. On March 24, 2001, he left his last post and vanishes after that post forever mysteriously, but his account is still there. In this world, everyone has their own point of view. Someone looks something in some way while some looks same thing in other way and all that. First, let me clear to you, nobody has ever seen John Titor. He always appeared on the internet. He sent design of his time machine but how we believe in whether that cuboidal appearing thing in the picture is really a time machine or not? We don't know exactly what was that. Also Read " Top 10 Short Horror Hindi Movies "
These are the topmost talks which raise questions over the existence of such a person. I personally feel that this is a complete hoax which must be originated by some individual or group to gain publicity. That's it. Despite it, anyone can give their own theory over this. How to occur Y2K Problems In computer science field?? Y2K is a problem less paradox, usually occurring while trying to solving the problem using a computer. Some people consider it as a mistake of the calendar dating system. Rest We'll discuss on it someday. 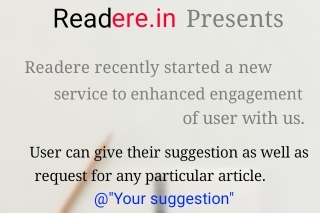 We'hope to serve you more post like this. Stay tuned.